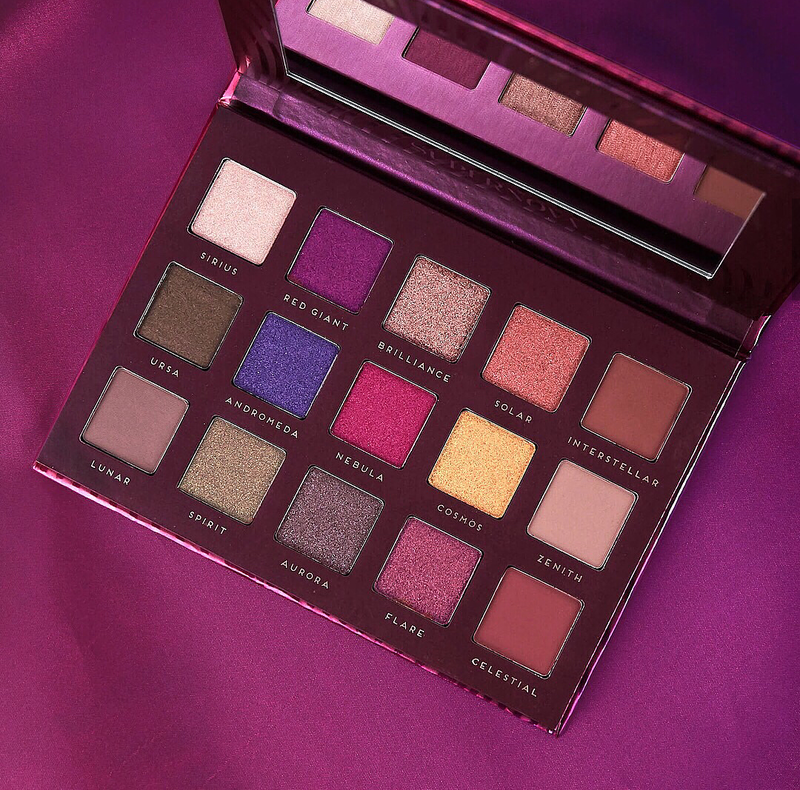 I've been loving the ShopHush website lately and it's mainly due to a new brand called Bad Habit Beauty. 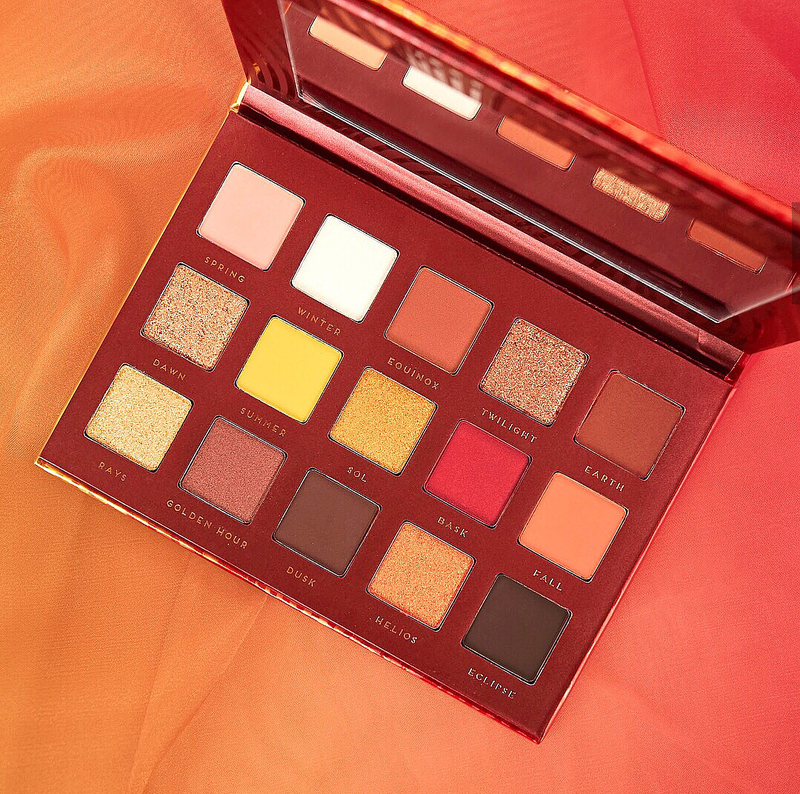 They dupe popular palettes and only charge around $10-$12 for them. The best part is, they're actually amazing quality. If you've seen my swatches over on Instagram, you know what I'm talking about. 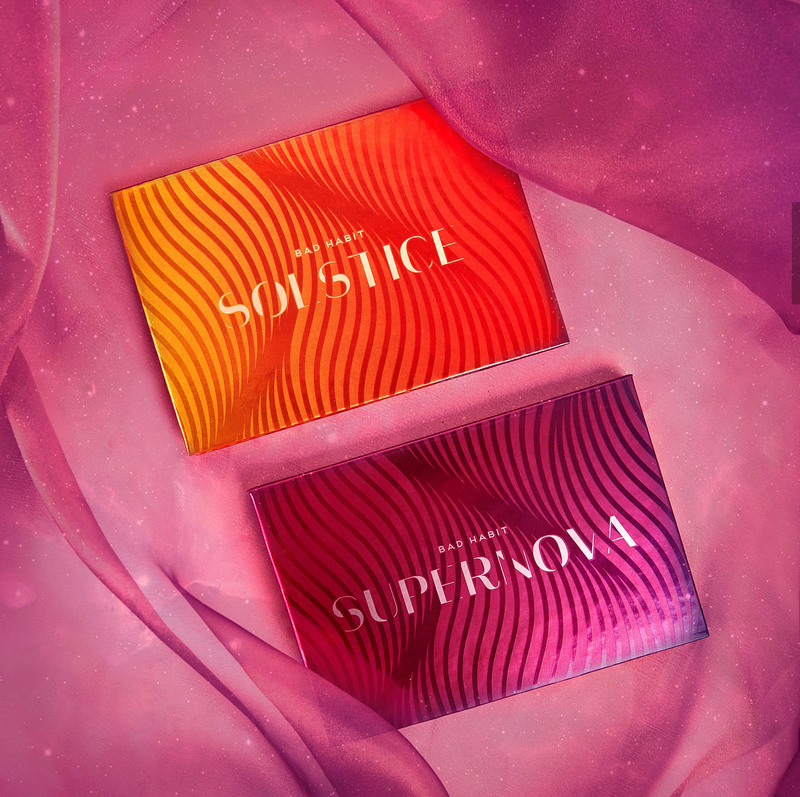 Anyway, they just announced that they're launching a brand new set of palettes called Solstice and Supernova. 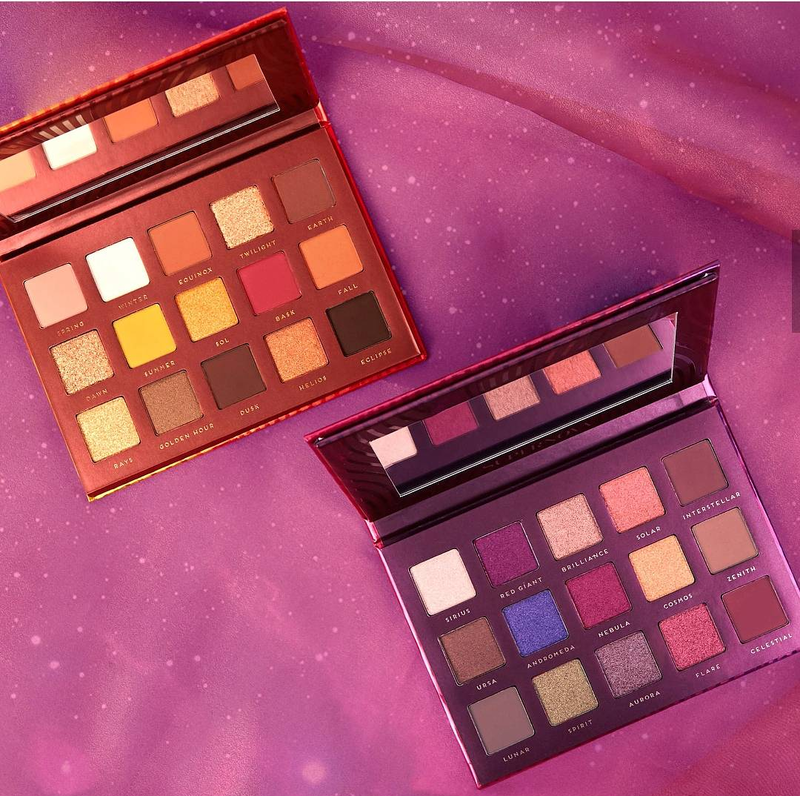 They appear to be solid dupes for the Natasha Denona Sunset and Lila palettes and will cost $16 each (or $24 for both). Close-ups below...what do you think? Will you be picking these up? I should also mention that if you use the Shop Hush app (available in the app store), shipping is free on all orders (no minimum purchase), so that's how I order every time.